A lot is going on about Samsung Galaxy S8 and S8+, but the two phones will not be available for purchase until after their March 29 launch. Just yesterday, new pricing details of the Galaxy S8 appeared thanks to UK’s MobileFun, suggesting that the phone could be priced at £799 in the region. However, since then, the retailer seems to have removed the page, which could have been published by mistake. 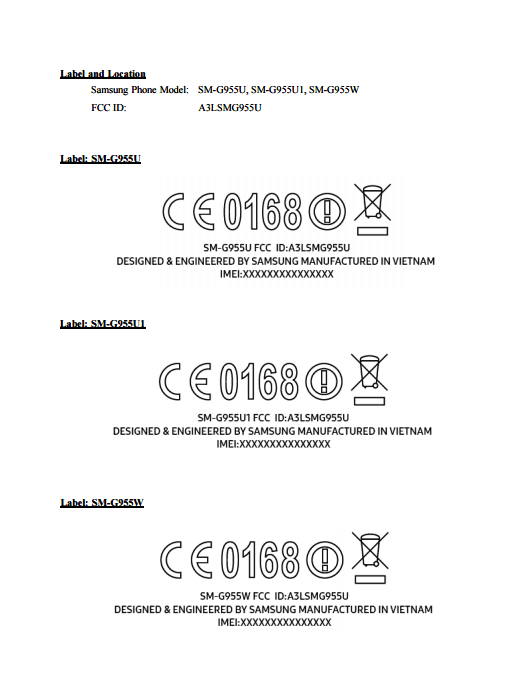 Now, in a new set of leaks, both Samsung Galaxy S8 and S8+ have just made stops at the FCC for certification. This confirms that the phones will be coming to the U.S and Canada once they are released, but as you may know, we still have more than a month before we can start thinking of buying either phone. Nonetheless, the FCC listing confirms quite a number of features about this phone, in addition to the technical specs revealed by the listing on MobileFun UK. So far, we can confirm that Samsung Galaxy S8 will ship with model number SM-G950 while the Galaxy S8+ will come in with model number SM-G955. 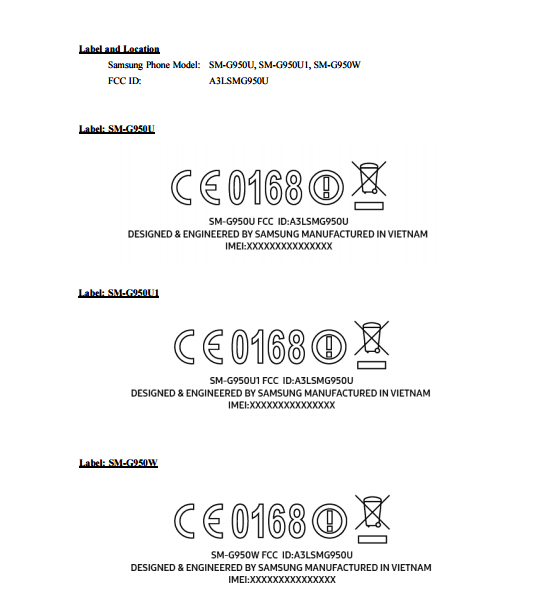 As per the FCC listing, the devices have model numbers SM-G950W, SM-G950U, and SM-G950U1. What this means is that the Galaxy S8 will have at least two variants while the S8+ will also have the same number of variants with model numbers SM-G955W, SM-G955U, and SM-G955U1. Other than the model numbers, the FCC listings also reveal that both Samsung Galaxy S8 and S8+ will come with support for wireless charging alongside a microSD card slot for expanding the available onboard storage. The listing on MobileFun confirmed that the S8 will ship with 64GB of internal storage alongside a Snapdragon 835 SoC and 4GB RAM. As for the screen size, there will be a 5.8-inch curved AMOLED panel with QHD resolution on the S8 while the S8+ will ship with a bigger 6.2-inch screen. In terms of battery power, the smaller Samsung Galaxy S8 will reportedly ship with a 3000mAh battery, but there’s still no word on the capacity of the unit that will be powering the S8+.